Since 2009, Bike Santa Cruz County's youth education program has helped to build bike culture and remove barriers to bicycling for youth in Santa Cruz County. Through our Middle School Bike Clubs, Earn-A-Bike programs in Santa Cruz, Live Oak and Watsonville, annual Bike the Bay youth bike tour, classroom presentations and assemblies, and dozens of annual youth bike rides, we have helped thousands of young people discover the joys of bicycling. Since its inception, our youth program has been funded through the generosity of a private foundation. Now that funding is being reduced, and we need your help to continue to provide our programs to youth throughout the county. Your tax-deductible donation will allow more middle school students to participate in the spring sessions of our Live Oak and Watsonville Earn-A-Bike programs as well as the Bike the Bay youth bike tour. 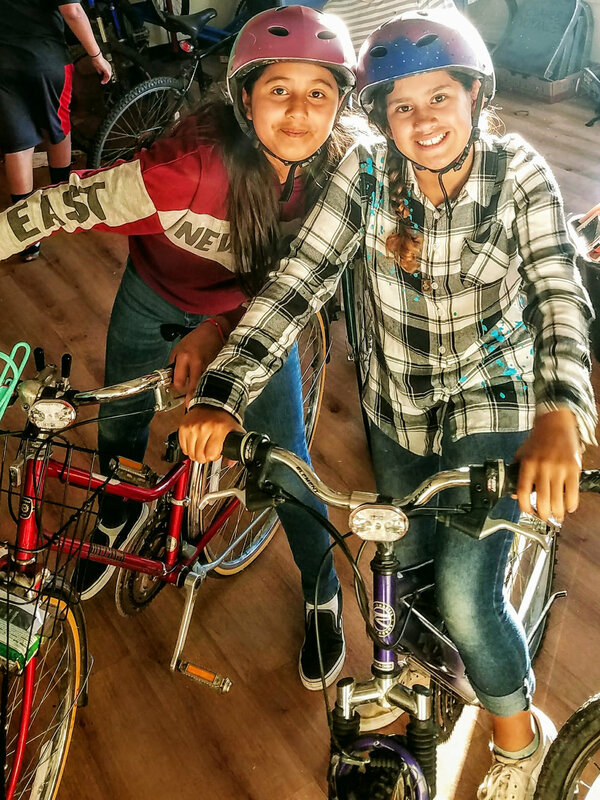 Help us purchase helmets, locks, lights and bike parts for students in Watsonville and Live Oak, or sponsor a low-income participant on the ride of a lifetime in Bike the Bay. Bike Santa Cruz County youth programs allow more youth in Santa Cruz County to discover the joys of bicycling. Help us continue to provide these programs by making a donation today!